Caroline has a great end to her story now, she bought her wheel five years ago with all of the accessories, but could never get it to work. Losing hope she set it aside to gather dust. 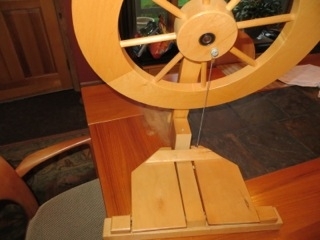 Until she saw one of Kyle’s videos about how the Lendrum works and she contacted us about getting her wheel to work, she was also hoping to make it a double treadle. 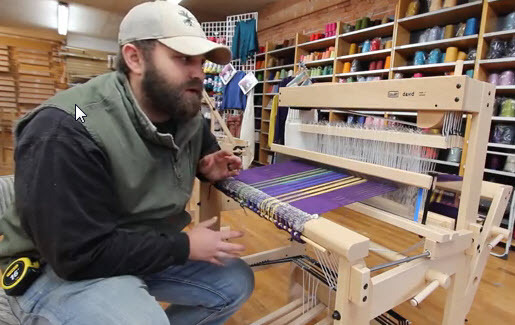 Kyle, here at Paradise Fibers understands spinners and is willing to rise to the challenges presented by different wheels, like adapting the single treadle to a double. In the past this has been an impossible feat; however, his goal is to make these dreams a reality. There are a few different designs for the Lendrum Single Treadle Folding Wheel, depending on when your wheel came out. Caroline’s wheel is older one of the original folding wheels of Gord Lendrum with a hand burned GL on the bottom. Kyle took the challenge of giving new life to her wheel. 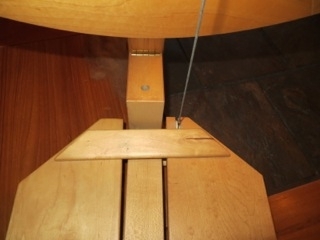 Caroline’s single treadle design connects the treadles across the top of the two treadles, when the glued bar was removed each treadle moved independently. The biggest issue with the wheel is the mechanics of how the double treadle was designed to work with a pivot arm, supported with a pivot arm pin. The pin was fabricated to match with the pivot arm and the hole was counter sunk to be flush and clean with the back of the wheel, keeping the smooth lines of the wheel. 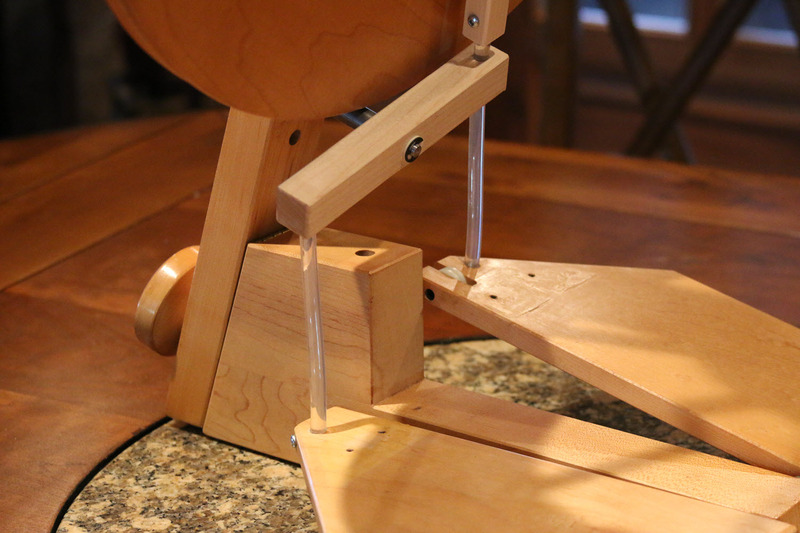 The pivot arm is mounted with bushings from our wheel to keep smooth treadling. The pivot arm is balanced and smooth allowing for balanced treadling, allowing for even effort between peddles. Kyle’s greatest concern with the wheel finding the perfect location for the pivot arm pin, which with this older Lendrum was tighter than expected. There is clearance between the treadle upright and the pivot arm when the wheel is folded. The close clearance between the wheel and the pivot arm post makes changing the drive band a delicate task as it is rolled into the grove but it is totally doable! Originally the wheel’s hub was driven with a wire acting as a footman arm and connecter, attaching the treadle to the wheel hub but with the addition of a pivot arm, Kyle used the standard Lendrum footman connecters on both treadles and added the footman arm. To finish the assembly the bolt that had attached the wire footman to the hub was removed and Kyle fabricated a pin to match the footman arm assembly! 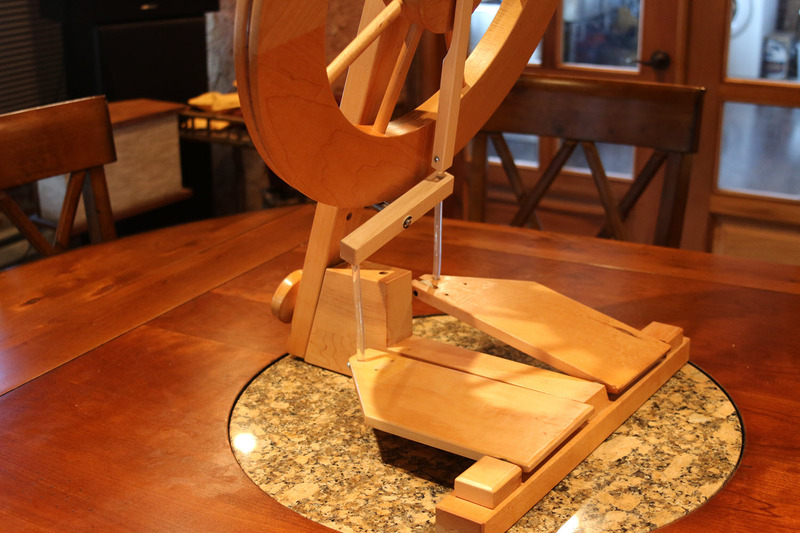 Finally Kyle worked to make the wheel the smoothest even spinning experience for Caroline, so he adjusted the clearance and added bushings to the treadles so there was no shift when treadling. Next articleField Trip! To Fiber First Inc.